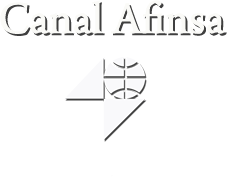 canal afinsa: The Sacking of Afinsa - A Government Run Amok!! Four years later, we seem no further forward on the judicial front. Bringing governments to heel and prosecuting their infractions and misdeeds is, as we see the world over, virtually impossible for the ordinary citizen and can (and does) imperil them, such are the powerful forces at work, between venal politicians and their counterparts in global corporate commerce. It is unlikely that we will see Rubalcaba in the dock, or Zapatero, or the Chief of the Agencia Tributaria. What we need to see now is the vindication of the Directors of Afinsa, against whom no crime has been indicted, and the consequential respect of the High Court's declaration that Afinsa was, and always has been, a mercantile company doing legal mercantile business. Many clients will recently have received a letter (dated May 2017 or thereabouts) from the Administración Concursal de Afinsa en Liquidación. This letter demands a decision between two Options: (a) come and collect your stamps; (b) accept a financial payout from the liquidation of Afinsa's assets, in proportion to your investment. Neither option is going to cover anywhere near one's original investment, since the assets of the company, including its real estate, have been deliberately undervalued. Compensation no greater than 2 to 5 % is expected under the option (b). 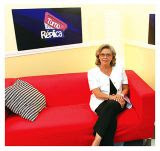 I believe, as do most clients, that full compensation can be made only if the government make up the difference between the assets realised by liquidation and total client creditation (including payouts to the estates of the many pensioners and others who have died waiting for a legal settlement to this unnecessarily long-running case.